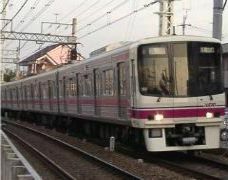 Keio Electric Railway Co, Ltd. class 8000 EMU. The train consists of 10 cars, of which 6 cars are motorized. 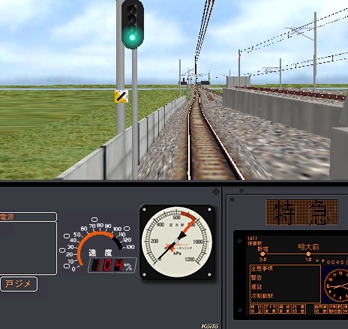 Photorealistic driver's stand with digital and modern analogue speedometer, manometer (pressure gauge), clock on the driver's MFD and pilot lamp. The definition files for the train class 8000 are not entirely adapted to use of western characters. It can be fixed by replacing 2 files. The file panel.cfg in the directories LegacyContent\Train\Ko8000 and LegacyContent\Train\Ko8000s should be replaced with new versions of the panel files. The new versions are available for download from this website below.